NonForeclosure Sales Top Foreclosure Sales in Metro Detroit. For the month of October, the total nonforeclosure sales were 3,483 compared to 2,938 foreclosure sales…. The first point above that you can look at for good news in the market are that October ’09 sales are the highest they’ve been since 2004, which means there are buyers coming to the market. The second is that there were 3,483 non-foreclosure sales in October. The points about foreclosure inventory levels being low and foreclosure sales being low is an artificial statistic. If you read my post in August about The False Real Estate Market Bottom in Detroit, you’ll remember that we are looking at a false bottom or an artificially inflated market. This all has to do with the foreclosure moratorium by mortgage companies and the State of Michigan. What this did is create a huge backlog of foreclosures that will be dumped on the market in the next couple of months. In the post I predicted that the the foreclosure flood would hit Metro-Detroit in November of 2009 to January of 2010. It no longer looks like November will be that time but I feel confident on a January-February 2010 flood of foreclosures hitting the market (barring any government intervention, which would be a bad idea). Banks are not good at foreclosing on and getting REOs listed, which you’ve most likely seen working in real estate, and these foreclosures are no exception. Per RealtyTrac, Michigan is still #7 in the nation for Foreclosure filings. Looking at the Wayne County information, which is what I used in my original analysis, foreclosure filings for August, September, and October of 2009 are the highest they’ve been this year. This all points to more foreclosures on the market. Inventories are down but foreclosure filings are up. That points to future inventory growth and towards other intervention (the government), which created artificially low inventories. I’m a strong believer in finding the opportunity and not spreading doom and gloom like the national media. What you need to know is exactly what’s going to happen when a flood of foreclosures comes on the market. 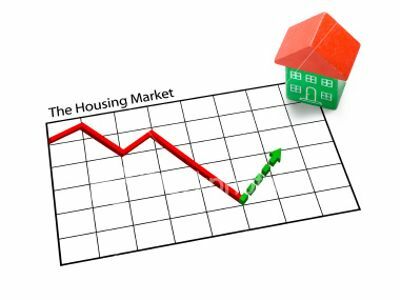 There’s going to be increased inventories, decreased prices, and lower buyer confidence in the market. This is only going to be temporary because sales are still strong and the inventory will get eaten up but all of them at once is going to cause these activities to occur. While the market and most people are reactive, we need to be proactive and see this for what it is. A temporary phenomena. Taking action when these foreclosures come on the market in buying the foreclosures and fixing them up to rent out or flip is going to put you in a very good position. There will be plenty of inventory to choose from and by the time you get your property stable and rented for awhile, the rest of the market will catch up. By that time inventories could well be on their way back down. We have a window of opportunity coming up that you will never see in metro-Detroit real estate again. What are you going to do when presented with this opportunity; take ACTION and invest or kick yourself later for not doing so?